The National Kidney Foundation, a major voluntary nonprofit health organization, is dedicated to preventing kidney and urinary tract diseases, improving the health and well-being of individuals and families affected by kidney disease and increasing the availability of all organs for transplantation. One in three American Adults is at risk for kidney disease due to diabetes or hypertension. Our goal is for everyone to get tested and know their numbers. 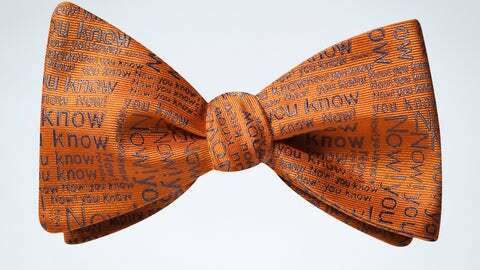 In 2013, NKF first partnered with the BowTie Cause to create a fashion forward piece to debut at Tackle Kidney Disease (a third-party event). TKD was a fashion show that raised money and awareness for the National Kidney Foundation. The show featured NFL players from the Cincinnati Bengals and fashions from a local designer. We worked with the BowTie Cause to create a conversation piece to promote awareness, education on prevention and communication about treatment/research. That are the three words resounding in our bowtie.